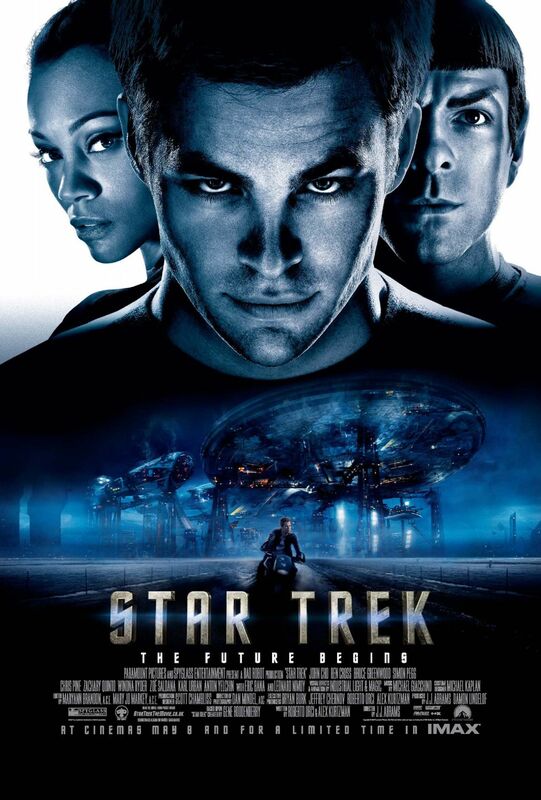 Synopsis: James Tiberius Kirk is a young man with seemingly no future ahead of him, until he is persuaded to join Starfleet and follow in the footsteps of his father. Review: Reboots certainly are a very common occurrence in Hollywood movies these days, with every popular franchise getting one. So of course, it was only a matter of time until Star Trek underwent the reboot treatment. A franchise that has endured the test of time, and has had its fair share of setbacks and disappointments. Seven years after 2002’s Star Trek Nemesis was released, fresh after directing the third Mission Impossible Movie, JJ Abrams came on board, sat in the director’s chair and fired this franchise into warp speed and in very impressive style too. The film focuses on a young James T Kirk, a man who is sort of on the road to nowhere and likes gets into a few fights. He is looking for something to give his life significance and meaning and he eventually finds this in Starfleet. Also arriving on the Starfleet scene is the Vulcan Spock, who due to his human mother is almost looked down upon by his fellow Vulcans. Through this the two of them form an understanding of what it’s like to be cast aside, and a friendship of sorts, is formed, but it’s not without its problems. With the timeline in this movie dramatically altered, Abrams almost gives himself a clean slate to work from, but he also knew how to make this reboot work and work well. Yes it is cool to see ships travel at Warp Speed and to see impressive planets, but at its heart, Star Trek is a franchise that focuses on its characters, as the brilliant pairing of William Shatner and the late Leonard Nimoy demonstrated in the older films. The new cast certainly give credit where credit’s due, but they all make the roles their own. Special mentions must go to Chris Pine and Zachary Quinto. Much like Messrs Shatner and Nimoy, the pair of them are brilliant in the roles of Kirk and Spock respectively. They may bicker and clash about almost anything they can, but there is a connection, a mutual admiration in many ways between them. Also great is Karl Ubran as Dr Leonard McCoy AKA Bones. He gives off that typical Karl Ubran gruffness, and he is a little bit grumpy for sure, but there is sincerity and depth to his performance, as is just about everyone else. Star Trek is nothing without the crew of the Enterprise and this crew all give very fine performances, and you enjoy watching them work. Abrams certainly showed with MI that he knows how to handle action, and here he displays it once again. The action is glorious to watch and there’s plenty of it too. From the epic clash in the opening sequence to a enthralling space jump sequence that is packed with his trademark lens flares in more than a few scenes. One could certainly never accuse Abrams of lacking style. He brings a very exciting style to the way he directs and it works very well for the film. However, the main thing dragging this movie down is the villain Nero played by Eric Bana. He looks menacing enough for sure, but he is in many ways a throw away villain, and will not leave the viewer with a lasting impression when the credits begin to role. That being said, despite his predisposition to the Star Wars Franchise, Abrams gave the Trekkies just what they needed after seven years. Screenwriters Roberto Orci and Alex Kurtzman, along with Abrams certainly set out to please the fans, and bring new people on board to the franchise, and they certainly did just that! It was just about the perfect start for this new Star Trek franchise with all phasers set to thrill! A really smart reboot with brilliant acting from Pine and Quinto, with some great action scenes and superb direction from Abrams. The more than five year mission to get here was certainly worth it!